Money orders are an effective alternative to personal checks. They allow you to safely send money to individuals or businesses and act as a guarantee to the recipient that the funds are available. However, they aren’t always as convenient as checks, as you have to head to a store or bank to get one. Here are all your questions answered as well as how to get a CVS money order. CVS offers money orders through MoneyGram at every CVS pharmacy location. Since many of the stores are open 24/7, this is incredibly convenient for those who need help outside of traditional business hours. What is the Limit for a Money Order at CVS? When you buy a CVS money order, the amount can be no higher than $500. However, that doesn’t mean you can’t get a higher amount; you’ll just need to buy multiples. For example, if you need $940 in money orders, you can get one CVS money order for $500 and a second for $440. Yes, there is a fee for getting a money order. At CVS, it is $0.99. The fee isn’t per transaction but per money order. If you need $940 in money orders (making it necessary to buy two), you will pay $1.98 in fees. All you need to do to get a money order at any CVS pharmacy is head to a register. Then, let the cashier know you want a money order. They’ll handle the transaction and provide you with the money order. As with most money orders, you have to pay in cash. This allows CVS to guarantee the funds, which is one of the biggest points of using a money order in the first place. Other payment mechanisms – including credit cards, debit cards, checks, and gift cards – are not allowed for money orders. These cannot be guaranteed as easily as cash, as a transaction may initially go through even if the money isn’t actually available. Once you have a money order, you have to fill it out before the recipient can cash it. First, you’ll need to put the person’s or company’s name in the “pay to” or “pay to the order of” space, making sure that you write it in accurately. Then, you provide your address in the “purchaser’s address” section. Finally, sign the front of the money order on the signature line (the back signature line is for the recipient only). Tear off the receipt attached to the money order so you can track it and then provide the rest to the recipient. Does CVS Cash Money Orders? No, CVS pharmacies does not cash money orders; they only sell them. If you need to cash a money order, you’ll need to take it somewhere else. Nearly every bank or credit union can cash a money order. If you head to your own bank or credit union, you may be able to cash one without paying a fee. Sometimes, there is a small cost for non-account holders that varies depending on the amount of the money order and the bank you use for cashing services. Check cashing locations will also pay out money orders. However, they may charge more than your typical bank or credit union. Some grocery stores cash money orders too. However, this isn’t a universally available service for any chain, so you might want to call your store ahead of trying to get a money order cashed. Is CVS the Best Place to Get a Money Order? For a lot of people, CVS is a great option for getting a money order. Since many locations are open 24/7, it is incredibly convenient for those who can’t head out during normal business hours. Plus, the $0.99 fee is pretty reasonable. However, there may be other options with lower fees or higher limits in your area, so it’s worth exploring before you commit to CVS. For example, Walmart offers a higher limit and lower fee at their Money Center, but the service isn’t available outside of their usual operating hours. Do you go to CVS for money orders? Tell us about your experience in the comments below. Which Stores and Restaurants Are Open on Mother’s Day? When a holiday falls on a Sunday, it’s easy to get confused about which businesses are open that day. So, which stores and restaurants are open on Mother’s Day? Just about all of them are, as it’s a busy day for retailers and restaurants alike. Most restaurants do a lot of business on Mother’s Day– they’re open but they may be packed too. The ones likeliest to be crowded have promotions like free meals for moms. Click here to see which eateries are offering deals that day. So it’s a good idea to make reservations to anyplace that accepts them. Barring any extenuating circumstances, all retailers are open on Mother’s Day, so you still have time for last-minute gift purchases. That said, it still doesn’t hurt to call ahead to see whether stores near you are going to be open on Mother’s Day. You might be able to find out by phone how crowded it is in the store so you can plan accordingly. One driver of crowds includes the special discounts many retailers are offering on Mother’s Day — click here to see which ones have the best deals. All gas stations that normally operate on Sundays should be open on Mother’s Day. Since Mother’s Day always falls on a Sunday, that means most banks, credit unions and brokerages are closed on the holiday. One important exception are branches located within supermarkets that have Sunday hours of operations — please click here for a list of them. Otherwise, you can still use ATMs and online banking even when your preferred financial institution is closed — although the actual transactions won’t go through until the next business day. Since Mother’s Day always falls on a Sunday, that means no post offices are open that day. However, some postal locations keep their lobbies open seven days a week so you can buy stamps from machines and drop letters into the chutes. It doesn’t hurt to call ahead to confirm whether a self-serve lobby near will be open on Mother’s Day. Yes, every retailer and eatery you can think of should be open on Sunday for Mother’s Day. Most of what you may want to do that day should be possible — except, perhaps, for avoiding traffic. Readers, what sort of plans are you making for Mother’s Day this year? Costco Wholesale Club has been making quite a few changes recently. You may have noticed some of them, others may have gone unseen. Since the company announced that it would be switching from American Express to Visa, all eyes have been on the Wholesale Club trying to figure out what its next move would be. However, the company has been making one move without anyone even noticing for years: phasing out the sale of tobacco. For some time, Costco has sold tobacco products in its 489 United States stores. However, it seems that Costco has begun to phase out tobacco products from many of these stores. It now only sells the products in 189 of the U.S. stores. The “phase out” has been happening for about three to four years. Many companies have been taking tobacco off the shelves recently. Because of the long-lasting health consequences tobacco can cause, many companies have begun taking it off the shelves as a stance against tobacco companies. Companies like CVS took the products off their shelves as a moral stance in their prospective communities (also, it seems kind of silly for a health and drug store to carry something so bad for you). According to a study conducted after CVS made its change, the average smoker purchased five fewer cigarette packs. CVS wanted to be recognized for trying to help cut down on the amount of cancer and other disease caused by tobacco. 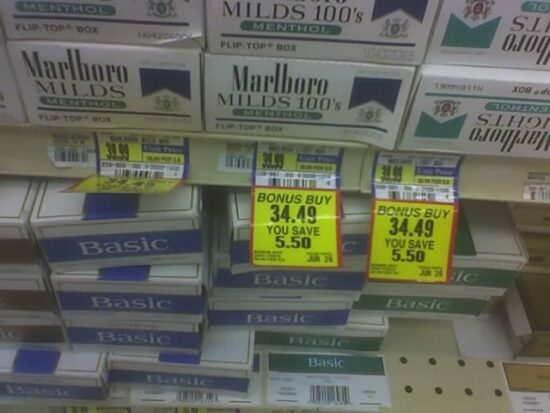 Just last week, CVS announced it would be donating to anti-smoking campaigns. Another larger company, Target, quit selling tobacco products in 1996 (one of the first to do so). Some companies have used cutting tobacco products as a way of bringing in a different clientele for many companies. In Costco’s case, according to a spokesman, they simply removed the tobacco products because the space could be better used for other products. Unlike CVS, Costco did not make any big announcement about the change. It simply faded the products out of the stores. The “low key” fade-out was intentional though. Costco’s decision, as previously stated, was not a moral decision though. The company’s CFO Richard Galanti said sales of tobacco products were “negative in low-double digits as we continue to eliminate tobacco SKUs from various locations.” So, fading out tobacco products should not affect the company’s overall wellbeing. However, there are many other changes occurring within the company that has been affecting stock a bit. Overall uncertainty surrounding Costco may have caused stock in the company to become stagnant, although market researchers don’t believe that will be a lasting trend. It has seen many highs and lows within the first part of the year, however, 2016 is likely a year to see huge growth in the wholesale club. With its decision to switch to Visa, making Visa cards of any kind accepted in its stores and changing its co-branded credit cards to Visa as well, Costco is likely to see an influx of memberships later in the year. The change, slated for June, will be the largest move within Costco this year. CVS Caremark Corporation has made the decision to quit selling cigarettes and other tobacco related products beginning October 1, 2014. This will cost the company an estimated $1.5 billion in lost cigarette sales, and another $500 million in lost sales of tobacco related products. While this is a large amount of money to willingly give up, CVS is doing so in order to better position itself as a health-oriented store. The company felt that cigarettes were inconsistent with the image that they were trying to portray. They will be the first national pharmacy chain to stop selling tobacco and tobacco related products. 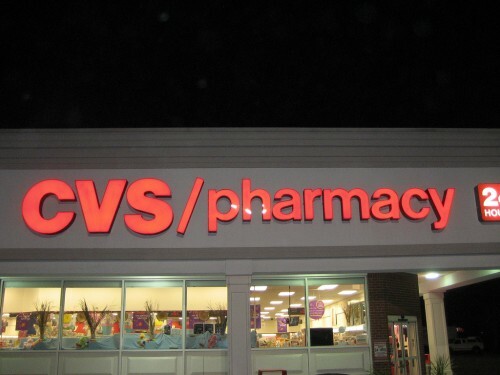 In conjunction with the phasing out of tobacco products, CVS also announced that they will be offering smoking cessation programs across the nation this spring. These programs will provide information about treatments which can help those who want to stop smoking. CVS will continue to sell smoking cessation products including nicotine patches and nicotine gum. For those who do smoke, there is no better time to quit. It’s well known that there are many long-term health risks that tobacco use causes. In addition, there are significant financial costs that come with the habit (although there can be costs associated with quitting as well). If those two reasons aren’t enough, you can go through the long list of 97 reasons to quit. In the end, however, there will only be one reason that will actually get you to quit. That is if you actually want to. While CVS halting cigarette sales may not seem like it would be a big deal since cigarettes and tobacco related products will still be available at many other retail outlets, it’s a much bigger step than most might think. There has been a number of studies that show that simply making cigarettes a bit less accessible can have a measurable effect on those who smoke. This is especially true for children. For instance, studies show that having to travel two extra blocks to buy cigarettes can deter someone from buying. Canada was able to reduce cigarette sales by doing nothing more than requiring stores to place them under the counter and out of sight of the customers. 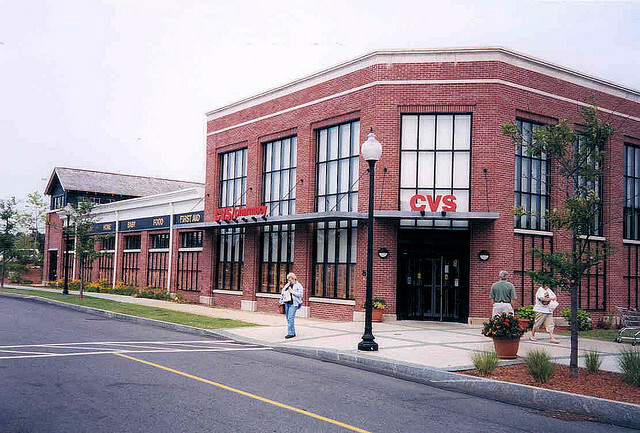 The move by CVS is also a step that the tobacco industry has feared for a long time. It will become even more of a concern if other retail outlets decide to follow the CVS lead. Anti-tobacco groups are hoping that other drug stores like Walgreens, which makes significant donations to the Cancer Society, will be the next to make a similar announcement. I have a love-hate relationship with CVS. I love that I can get things there for free / nearly free (one of my goals for this minimum wage challenge is to try to get all of my personal care products for free this year, and using the CVS program will be a big part of making that happen), but it also seems to be a place where I have terrible dilemmas like whether or not it’s worthwhile buying tampons in order to get peanut butter. Today I needed to get a couple of sticks of deodorant (I had some coupons expiring which gave them to me for free) which wouldn’t seem to be an issue in most cases, but you have to realize what happened the last time I went into CVS to buy deodorant. I walked in and headed to buy the deodorant when I noticed a woman who was having trouble reaching something she obviously wanted on an upper shelf a couple of aisles from where I was. To the rescue, I headed over and helped her get down some make-up tool that she was trying to reach. Me: “You’re welcome. Glad I could help. Have a wonderful day.” I began walking back to buy my deodorant while thinking, “wow, she was quite attractive. Maybe I should have tried to strike up some type of conversation…” My back was turned and I was walking away when I heard “hey!” from the end of the aisle in direction from where I had just come. I turned in mid-stride to see the woman wave with a big smile on her face. Me: Still walking backward, I smile back. “No prob….” and promptly plowed directly into an in-aisle feminine protection display sending packages of pantyliners flying in all directions. I then spent the next ten minutes trying to clean up the mess I had just made as other customers walked by wondering why the hell there was a random grown man on his hands and knees picking up pantyliner packages in the middle of CVS. As you can see, I’m quite the ladies man. For some unfathomable reason, the attractive lady was nowhere to be seen when I had finished cleaning up. Even worse, I was so flustered from the entire incident that I ended up leaving the store without buying the deodorant that I had gone there to buy. This is actually a short list of what you can get a most drug stores for free or nearly free. Anyone who is on a tight budget should take advantage of the deals that these drug stores provide for many of the basics that most people pick up at the grocery store for a premium price. Even with the occasional embarrassment which I only seem to be able to achieve, the savings more than makes up for it. You can learn more about how CVS works here to begin taking advantage of all the deals that they offer.